We spent some time up in the Pacific Northwest in Tacoma last week and visited the LeMay Museum: America’s Car Museum. I had personally not been acquainted with the LeMay museum or the family story prior to the visit and needless to say, I was impressed with the scope and depth of the collection. LeMay, who earned his fortune running a successful waste management company in Tacoma, WA, amassed a collection of approximately 3,500 cars. 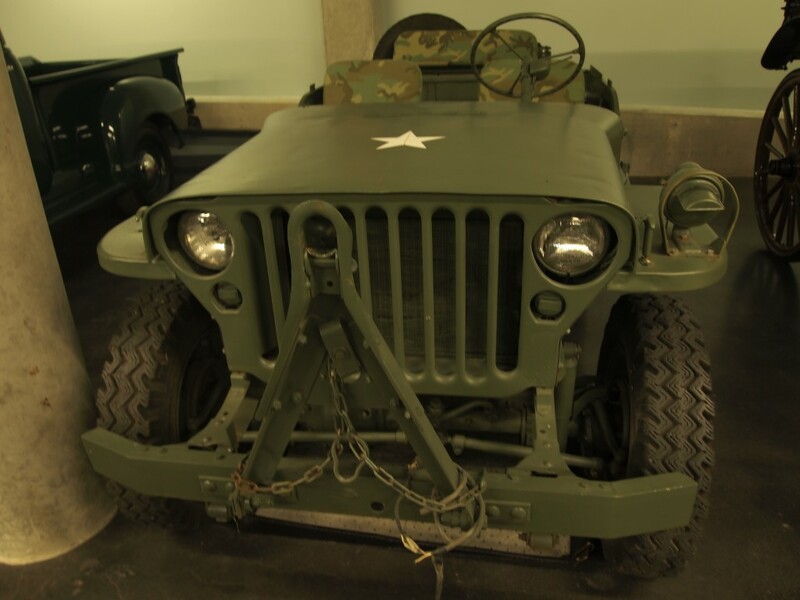 While only about 350 cars are displayed at the 4 story museum, the collection covers nearly all of the 20th century and virtually every American car make…including Jeep. There was one, lonely Jeep Willy’s on display in immaculate condition. 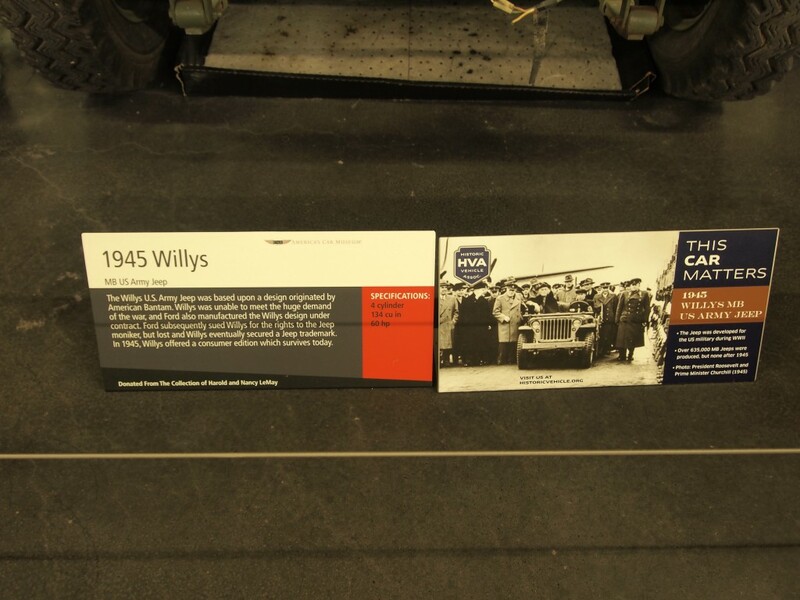 The Jeep story was included in a special placard below the exhibit and referenced the Jeep’s unique tie to American Armed Forces, particularly during WWII. The picture of President Roosevelt and Prime Minister Churchill in a Jeep highlights the history and importance well. Very cool to see all the cars, but especially neat to see the Jeep featured in such a great collection of classic American vehicles. Jeep Wave!